Without Frank Davidson, the Channel Tunnel, an ancient dream of Napoleon, would not have been built. Historians credit Davidson with the achievement. In 1957, he founded and co-chaired the Channel Tunnel Study Group, coining the word “Chunnel.” When the Channel Tunnel linked France and England in 1994, celebrations included many tributes. Later, Frank P. Davidson was awarded honorary degrees, and received the title of Chevalier in the French Legion of Honor. Frank Davidson might be even more famous for his military service. One of the heroes of Normandy, Davidson could not wait for the United States to enter the cause, so traveled to Winnipeg where, as a life-long horseman, he joined the Fort Garry Horse, an Armored Reconnaissance Regiment, part of 38 Canadian Brigade Group. Frank P. Davidson is featured in the Juno Beach Centre museum. Fort Garry’s motto, “facta non verba – deeds not words,” became his frequent declaration. While still an undergraduate at Harvard, he wrote and co-edited a book, published by the university press in rare inclusion of work of one so young. Before America Decides: Foresight in Foreign Affairs was a landmark vision. Davidson was elected to the Signet Society at Harvard, and also served on the editorial board of the Advocate. When just 22, Davidson requested a meeting with United States President Franklin D. Roosevelt to propose founding a Civilian Conservation Corps camp devoted to diversity, where students of all backgrounds could work together. Camp William James, in Vermont, was named for the author of “The Moral Equivalent of War” with recognition that preservation and honoring of the environment may be a path to peace. Davidson later rebuilt a Dutch village devastated by war, and helped develop an area of Mexico in a project that many see as precursor to the Peace Corps. Certainly, Frank P. Davidson will be recognized for founding a new field of study: Macro Engineering. For more than a quarter century at the Massachusetts Institute of Technology, Davidson served as chair of the System Dynamics Steering Committee. There he taught a faculty seminar on “Failure of Human Systems,” where I was fortunate to be among those gathered. Frank Davidson and I offered courses on “Failure” and “Success” at Harvard’s Radcliffe Institute, and continued to share interests. During his years at MIT, Frank Davidson established the American Society for Macro Engineering, the Brunel Lecture Series, the Center for Macro Projects and Diplomacy at Roger Williams University in Rhode Island, sponsored the Vac-Train Project at Worcester Polytechnic Institute in Massachusetts, co-founded the International Association of Macro-Engineering Societies, and the Major Projects Association in England. He was one of the earliest sponsors of the System Dynamics Society, and worked in close colleagueship with The Rensselaerville Institute in New York, IC2 in Texas, Institute of the North and related initiatives in Alaska, and the Global Infrastructure Fund Research Foundation Japan. 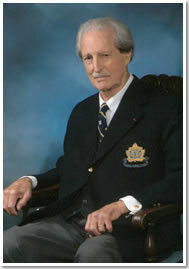 Frank Davidson was a Founding Member of the Association Prospective 2100 in France. He launched the Building the World Collection at the Healey Library of the University of Massachusetts Boston and the Channel Tunnel Archive with records of Technical Studies, Inc. at the Baker Library of Harvard Business School. Davidson led a wide community of scholars and leaders in a series of conferences and publications, enlivened by outdoor activities promoting health and conversation. No tribute to Frank Davidson can be complete without recognition of his extraordinary gift for encouraging convivial comity of family and friends, especially over lunch. At the Signet, various associations and clubs in London, Paris, Boston, or Concord, Frank Davidson always gathered people of diverse and fascinating backgrounds for delightfully hosted conversation over wonderful offerings of refreshment. Also artistic, Frank Davidson honored Fort Garry Horse and its famous Winnie the Pooh as well as sacred music composed by family for Unispace. Each year, he and his family hosted an appreciation evening at the Boston Symphony Orchestra. At his 90th birthday party, music included a very special cello tribute. Those who knew him well always commented that, of all his achievements, Frank Davidson was proudest of his wife, his children, and family. Establishing Macro Engineering in 1983 with a book of the same name, Macro, Davidson followed with a series of field-shaping books on solar power, transport, tunnels, artificial islands, and space development; in total, 50 works in 90 publications, as well as U.S. Patent 5,098, 219. He published, in 2006, the two-volume classic Building the World featuring the world’s greatest engineering works, with original contracts that launched these achievements. At the age of 94, Davidson, with the co-author of Building the World, presented a sequel: Building the Future. Frank P. Davidson might best be remembered for his extraordinary vision of deeds still to be done. It is noteworthy that to celebrate his 90th birthday, topics of a conference in his honor at MIT, with DVD by Prospective 2100, were ideas for the future. Macro engineering continues to shape the course of history with environmentally effective regional and global systems for energy, for transport, for water, for artificial islands and new land in space powered by solar satellites. Many initiatives will honor his inspiring vision for the future. What a nice and succinct summary of Frank’s many accomplishments. As a former university president I had the privilege of giving Frank what might have been the first (and last) Honorary Doctorate in Macro Projects and Diplomacy. I also enjoyed hosting with him many of his ideas and friends on my campus and am so pleased to see his work being continued and celebrated at a school such as UMASS Boston. Frank was a great “convener” of people and ideas and with his good humor, intellect and depth was able to bring together disparate thoughts and thinkers and truly create a new vision of the possible. Sharing time with him in France (both at their homes and in Normandy), Concord and New York, and getting to know him and his family, has been a great privilege. From my perch (in New York but mostly SE Asia) please let me know of any plans to memorialize his life and celebrate his vision going forward. I feel very lucky to have met Dr. Davidson during his time here on this Earth that he clearly cared so much for. He was an inspiring man whose humility, grace, and friendliness transcended his long list of achievements. His shoes will be very hard to fill but his seemingly endless contributions have lit a path for the next generation to follow in order to improve the quality of life for our ever-growing population and the state of our rapidly changing environment. I have the honor to have recently acquired Mr. Davidson’s horse Tucker. I did not have the privilege to know the man but I feel very connected with him based upon our mutual love of this amazing animal. Thank you Sir for your work and your horsemanship. Rest assured I will take very good care of this horse we both love. I am sorry you did not get a chance to say good bye to him but I have told him how much he was loved and will continue to be.